Anthony Ray - better known as the Grammy award winning rap artist Sir Mix-A-Lot, will not lie when he wows fans with his home renovation skills in DIY Network's Sir Mix-A-Lot's House Remix. 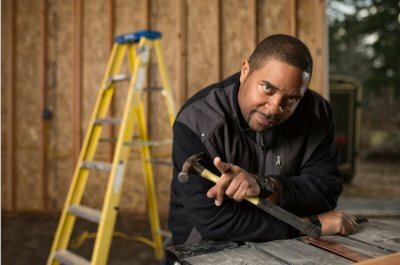 Premiering Saturday, June 30, at 8 p.m. ET/PT, the one-hour special will feature Sir Mix-A-Lot as he buys, transforms and flips a rundown home in his beloved Seattle hometown. "I'm not just a rapper," said Sir Mix-A-Lot. "These days, I'm flipping houses. Seattle is my home, and it's booming. It's a music city, a tech hub and the hottest real estate market in the country." Sir Mix-a-Lot scored four top ten Rap singles between 1989 and 1992. His biggest hit was 1992's Baby Got Back which topped the Hot 100.